Wee Travel has received rave reviews from the press and the travel industry all across Canada. We’re not the only ones that think it’s a great idea to rent baby equipment when you travel with children to Toronto, Vancouver and Victoria! View our media kit for more information on Wee Travel. Parents know It’s more like the great schlep than the great escape when you’re loaded down with kiddie gear. Baby equipment rental companies like Wee Travel lighten the load by delivering car seats, baby monitors and the latest quality strollers right to the hotel or airport. A box of toys is a bonus, keeping small hands busy while you stay hands-free – just be ready to explain why Thomas the Tank Engine won’t be making the trip home. In 2004, Lesley Cherry travelled to Vancouver with her new baby to visit her parents and sister Shana. Many parents with young children end up hauling everything with them from car seats to strollers, playpens and toys – but Lesley was fortunate. Her sister, with a boy just a little older than hers, had everything she would need already there. “I wondered how anyone could possibly travel if they had to bring everything with them – and how they would survive the trip if they couldn’t,” says Lesley, who light-heartedly mused to her sister about starting a baby equipment rental company. Shana Cherry decided to do some research and found that nothing like that existed in Canada. With full-time jobs, young babies, no business plan and no time to even think about doing one, they put up a website and opened an office in Vancouver just to see what would happen. Q: What gave you the confidence that your business would succeed? We already knew how stressful it was to travel with kids. We looked around and didn’t see a service for baby equipment rentals so we knew we had found a void in the market. We also had tons of feedback indicating the idea was good. And just after we started the business, the airline industry really tightened their baggage allowances which helped us too! Q: What were your start-up costs? Fortunately, we were able to start the business with minimal investment. We created the website ourselves and purchased equipment on an as-needed basis. Since we were the first company of this kind in Canada, it was a new concept and people were happy to write articles about us so we got a lot of free press. We also contacted hotels and told them about our services. They were thrilled because until that point, they were not able to help customers who arrived without car seats or strollers. Q: Were you profitable from the beginning? As luck would have it, the site launched just in time for winter vacation and the response was fantastic. We had our first order within three weeks of coming up with the idea and we have grown steadily ever since. A few months after we started, we opened our Toronto office; a few years later we opened an office in Victoria. We’ve never looked back. The first few years we put out a lot of money – building a new site, buying lots of gear – but thankfully we are now at a point where we don’t need to put out as much and can start enjoying the profits. The biggest achievement has been taking an idea and making it happen successfully without having the know-how! Learning, making mistakes and growing have all been great experiences. Also opening an office in Victoria and finding the perfect person to take that on has been a huge asset. But we haven’t stopped there. We are constantly trying to think of ways to make travel easier and less stressful for families. We’ve searched out products to make flying easier and safer; We’ve been one of the first companies to introduce new products to the Canadian market through our online store. And now that We’ve helped to make it easier for families to pack and safer to fly, we are working on new ideas: this past summer we opened a beautiful vacation rental property in Vancouver’s Kitsilano called The Modage. We listened to our customers and heard over and over again how difficult it is to stay in hotels with small children. A fully equipped kitchen, fridge, stove, laundry facilities and baby gear such as a crib, high chair, car seat, stroller and toys were all key desires. We decided we should do something about this, and The Modage was born. It’s kid-friendly, located in one of the most desirable areas of Vancouver and is within walking distance to Kits Beach, Granville Island and a number of parks and water parks. We will also stock the fridge for our customers and even have gourmet meals waiting for them in the fridge upon arrival – we know that nobody likes to run out to the grocery store the minute they check in, and kids are always hungry! The biggest struggle has been getting the word out to those who don’t know about us. It’s too costly to undertake the kind of advertising campaign it takes to effectively get the word out. However our site is well optimized so parents who are aware of the concept can easily find us. However, those who don’t are hard to reach. Thankfully, the concept is becoming more and more popular as the number of baby equipment rental companies around the globe grows. Another struggle is trying to figure out how we want to grow the business, how big we want to grow it and how to get there. We are currently working with a mentor in this area. Without a doubt It’s the positive feedback We’ve received from our customers. They are our biggest ambassadors. Rarely a day goes by when we aren’t profusely thanked for our service and our customer service. Customers know when you genuinely care about them. We’ve always had jobs that centered around helping people and this is really just an extension of our love for trying to be supportive and helpful to others. We look forward to interacting with our customers, getting feedback, finding new products and getting in touch with other business people in our communities. Depending on the season and the city, anywhere from three to six. During peak season we sometimes bring on people to assist with cleaning and answering phones as It’s too much to manage on our own. Q: How do you balance business and home life? This is for sure a struggle as we both have young children and this is not a ‘9-5’ job. We try to get most of our work done while the kids are in school or in the evenings when they are asleep. However, the phone does ring between 3 pm and 8 pm and we do need to take those calls. The kids are used to it although I know they’d prefer if we didn’t answer! Q: What are the goals for your business? We would like to be as busy throughout the year as we are during the summer. When we started out, we joked that our goal was to make enough money to afford a chef – that goal was attained, however still no chef! As the business grew our perspectives changed. We would like to continue to grow in other cities and to also diversify our concept somewhat. Business is all about building relationships and that means keeping your customers happy. Some people go into business to make a quick buck. As a result, their financial return is more important to them than the return of their customers. We go out of our way to build customer relationships, even if it means we take a loss. There have been many times when We’ve refunded our customers for inconveniences that really had nothing to do with us. This was the case, for example, when a hotel misplaced an item we delivered and the customer had to wait an hour while it was found. This type of service has helped build our reputation. Sure, we’re out the rental price of the item and the courier service to the hotel but you can’t put a price on the profuse gratitude of a customer. An unhappy customer is only too happy to talk about their bad experience. We choose to keep our customers happy and get them talking about us for the right reasons. Q: How would you advise a Mompreneur who is thinking about giving up? If you believe in yourself and your business and if you have support from your friends and family, then you have the foundation for success. That being said, sometimes things aren’t meant to be and you need to reassess. It’s very hard to let go of something into which you’ve poured your time and energy. But if your business is not profitable or if It’s unmanageable or making you stressed or miserable, then – even if It’s a good idea – it may just not be the time. Sometimes you have to give it up to make room for something better lurking around the corner. For more information, visit weetravel.ca. To check out The Modage vacation property, go to modagevancouvervacationrentals.com . What items can I bring on vacation to make a hotel or new environment more comfortable and feel more like home for my child? Children love exploring new places, so don’t fret too much about how your child will react to a new environment. Remember, children take their cues from parents, so if you are relaxed, they will be to. That being said, there are a few things you can toss into your suitcase that can help make the more challenging times like eating and sleeping a little more peaceful for you both. Sleep time: Pack your child’s favourite blanket, stuffed animal, and anything small from their bed that will make the transition to sleeping in a new environment more familiar. If travelling by plane or train, be sure to pack their “can’t-live-without” teddy in your carry-on in case you and your luggage arrive at different times. Music: If your child has a favourite sleep CD, bring that along. Music is a great way to block out the unfamiliar sounds from the hallway, air conditioner, etc. and may help your child fall asleep more easily. Meal time: Some hotels don’t have kid-sized cutlery which can make eating a challenge. A sippy cup, bowl, plate or utensils that your child is familiar with are all easy enough to bring along. Request a fridge: Many hotels can provide a small fridge in your room upon request. Stock it with the same foods that you feed your child at home. This is not necessarily the best time to introduce something new! Set a routine: During the first couple of days, try to keep to the same routine you do at home. Even though the surroundings will be new, your child may adjust easier if you follow a routine with which they are familiar. Consider renting gear: If you feel there are certain things that you and your child just can’t live without but are too large to pack, (think swing or exersaucer) consider renting them. Call your hotel ahead of time and ask them to recommend a baby equipment rental company. Have the company deliver these items to the hotel prior to your arrival. Ask them to deliver some toys, too. Children love having new things to play with. Most companies will even provide diapers and wipes so you can free up more space in your suitcase for that extra pair of shoes (for you). We are travelling to Europe this summer (first time) with our 6 year-old and I would like to find and purchase a lightweight Travel Stroller that will hold our daughter who will be 6 and weighs 42 lbs. Any information, lead, suggestions would be greatly appreciated. 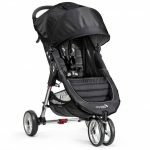 We know with all the walking involved our little girl will be exhausted at times therefore need a stroller for the long haul during rest periods. As you might imagine, our calendar of experts gets filled up pretty quickly. We thought Jeannie couldn’t wait until July for an answer, so we sent an email to our friends at WeeTravel.ca. Renting out kid gear to those travelling to Toronto and Vancouver and Victoria, I figured they’d have the best first-hand knowledge of which strollers travel best, as well as which strollers could accommodate kids over 40 lbs. * The stroller is very highly rated by Consumer Reports – higher than the Bugaboo Frog and Maclaren Volvo – and Consumer Reports has very rigorous testing. * It has a large storage basket which is important for travel. If you’re pushing a stroller, you don’t want to have to carry your shopping bags as well! * It has front swivel wheels. * It weighs around 17 lbs. * Since Jeannie likely won’t be using this after the trip, it’s a good price point ($129). With its Consumer Report accolades, she can easily sell it on Craigslist after her trip and get a good chunk of her money back. Lesley Cherry is the Co-Founder of WeeTravel.ca. Wee Travel Baby Equipment Rentals, Canada’s first baby equipment rental company with offices in Toronto, Vancouver and Victoria. I recently tried out a Salsa Babies class, and while Zach and I had a blast, between strapping him into his car seat, driving out to the site, moving him into the stroller and then settling him into the baby carrier for the class, only to do it all again but backwards at the end of class, it was just too much to sign up for on a regular basis. And that was just for a neighbourhood gig. So yup, travelling with baby means lugging around mucho gear. Some you might decide to do without (like forgoing the baby sling for the multifunctional baby carrier), some you might replace/exchange (passing on the stroller system for a lightweight, portable umbrella stroller) and some you might simply refuse to let go of (like your much-researched car seat). But what about play pens, high chairs and toys? For longer vacas, these can be a nightmare to pack and carry. That’s where baby gear rental companies come in, offering to deliver it all to your destination for a nominal fee. While there are lots of these companies, they can be hard to find. That’s why I love my latest discovery: Baby Travel Pros, which lists rental companies across North America. Though there’s only one listing so far for Canada (in Calgary, no less!) and none so far for destination favourites like New York (?) or Hawaii (! ), with 40 members and growing, it looks promising. Another awesome resource is Babies Travel Lite, which doesn’t offer rentals-it specializes in full-out purchases for everything you might need delivered to your destination (check out their baby bundles for fuss-free packing),but does have great listings for baby gear rental companies in the US and worldwide (including a more extensive list for Canada!). Finally, on home turf, Wee Travel rents out gear in Toronto and Vancouver, perfect for the 2010 Olympics! In this week’s baby bargainista column, Rebecca Atkinson credits her husband Mark as her inspiration for this week’s post about baby equipment rentals. It’s not often that my husband and I will cross paths in terms of the work we do since he’s an automotive journalist and I’m a web-type marketer. However, he definitely gets credit for this post idea. Mr. Atkinson is currently working on a story for those not ready to buy a minivan, but who might have to give up the two-seater sports car dream. For this article he tested three different vehicles to better understand their capacity for baby equipment. Not yet having our own baby gear, Mark tried to get in touch with one of the big baby equipment manufacturers so he could get some items on loan for the test drive and photo shoot. After a disappointing cross-border communications adventure, Mr. A had the bright idea of seeing if there was such a thing as baby equipment rentals. A short Google search later he was delighted to find several companies in the GTA who did such things. After contacting Wee Travel, (the very first-Canadian baby equipment rental company) he was in business and the story lived to see another day. In his talks with one of the founders, Lesley Cherry (who might become my new best friend if I ever meet her), he learned that not only do travelling parents rent baby gear, but that It’s also becoming a trend to try before you buy. That’s right – not sure if your car seat/stroller combo will fit in your vehicle with some groceries and no blind spots? Just rent the brand you’re looking to buy and see how it stacks up. Not sure what monitor will meet your needs? Or what about if that bouncy chair really is a good investment and will put baby to sleep without you thinking she’ll fall out of it? Again, just rent it for a nominal fee and you’ll have your answer, allowing you to make a more informed purchase decision. As I previously mentioned, we plan on going to the Baby Time Show this coming weekend where we should be able to try out a lot of things (like the three-in-one stroller/car seat combos – taking recommendations please!) because we honestly have no clue about what we want to buy. However, even though the show might help us get closer to some decisions, we now feel confident that if we’re really not sure, we can always come home and call Wee Travel and rent the items we’re thinking about. After all, when you think that you’re going to be spending hundreds of dollars on some of this equipment, you want to make sure It’s something you’re going to like and feel right about using. Sure it may not be as expensive as a new car, but that little baby you put in the equipment is going to be worth more than anything to you, so being able to be confident that your purchase decisions will keep your bundle of joy safe make the small rental fees worth it in the long run. 2. Extended trials – Renting equipment: Thinking about your lifestyle or vehicle needs/habits is important so being able to bring something home and try it for a few days without worrying about return policies is worth it in the long run. 3. What was good for the goose might not be good for the gander: What might have worked for your friends may not work for you – perhaps they have a 7-seater and you only have a Civic. With the size of some of these products today you need to know whether or not you can not only fit the products in your car, but whether or not they require a 34-page instruction manual to fold up; or whether one person can handle lifting it on the TTC or up an escalator. I recently had the opportunity to write a very detailed review of CARES, the FAA-approved flight safety harness that replaces car seats for air travel with toddlers and young children. CARES is the acronym for Child Aviation Restraint System, and it can be used by children who are at least 1 year old and weigh 22 lbs., up to 4 years and 44 lbs. Weighing just 1 lb. and traveling in a small stuff sack of its own, its clear to see that CARES has definite advantages over lugging any toddler car seat through the airport. Louise Stoll, a grandmother of nine and the inventor of CARES, recently told me how she hasn’t originally intended for her invention to be sold directly to the public. Rather, she thought it was something airlines might provide to young passengers onboard their aircraft the same way they provide seatbelt extenders to those passengers needing them. When I had first seen CARES, and still when I used it firsthand last week, I was thinking the same thing. It also reminded me of the ‘belly belts’ European and Asian airlines have provided us with when flying with a lap child (not permitted in the U.S.), which are also made of the same industrial-strength webbing as the airplane seatbelts themselves, and airplane seatbelt extensions, and CARES. 1. Rent CARES – Wherever you live in the U.S. or Canada, you can also rent CARES by mail from Sweet Pea Baby Rentals if you’d like to try it out. If you are flying into Phoenix Sky Harbor International Airport (PHX), you can event rent it for free with their current special (see details). In Canada, you can also rent CARES by mail from Wee Travel. 3. Win CARES – You can also enter to win CARES (plus a signed copy of Travels with Baby ) in the Passports with Purpose fundraiser I’m participating in this month that benefits Heifer International. So you decided to travel light, because schlepping the entire nursery in suitcases cost a fortune last time. But it seems baby is a tad annoyed his ExerSaucer wasn’t issued a plane ticket. Wee Travel Inc. Baby Equipment Rentals (604-222-4722) can help you avoid lugging along tons of stuff. Need a crib for your hotel room? They’ll provide one. Want a highchair? No problem. Renting a car? They have infant and toddler car seats. They even have toys and Pack and Plays to keep baby occupied. And they deliver. At feeding time, Meals for Mums (778-230-4245) also delivers: delicious food made from fresh, quality, healthy ingredients and, wherever possible, organic and local produce. It’s kid-tested and approved. A new Air Canada policy requires virtually all strollers (except umbrella style) to be checked — which poses problems for parents lugging infants as well as suitcases. If you’re flying through Toronto, Vancouver, or Victoria, however, there’s a new option. A company called Wee Travel now rents devices called gogoKidz Travelmates that let you wheel child car seats through the airport and right on the plane. “Many parents want to bring a car seat on the plane, but the sheer challenge of getting a car seat, child and luggage through the airport deters them”, says Shana Cherry, a Vancouver woman who owns Wee travel with her Toronto-based sister. Wee Travel (weetravel.ca) rents the devices for $25 a week. Remember those days when traveling was a joy? Flashback to slurping udon noodles in Tokyo en route to Jakarta, or sipping on Miami Pina Coladas before heading to Peru. Now that we are moms, however, it is another story (involving a plus one). With the gogo Kidz Travelmate ($139.95, or $25 a week), we don’t need to exchange our global trekking with car seat schlepping. New to Canada, this wheeled attachment converts any car seat (i.e. the seat we have to place our child of up to 50 lbs. in while flying) into a stroller. That means no more luggage juggling and baby wrangling while checking in. No dragging a crying toddler through customs. And when we’ve finally rented a car, this two-wheeled wonder folds flat, so no need to bring the baby buggy. Which is good for us, because more room means more shoes. If you have kids, you know that travelling with them is hardly a piece of cake. It’s simply not feasible to pack all of a child’s necessities, yet it’s just not possible to do without. Until now, there have been few options for parents, so to accommodate their needs, Wee Travel rents baby equipment to people visiting Toronto, Vancouver, and Victoria. Launched by Shana Cherry and her Toronto-based sister Lesley, Wee’s mission is to make it easy for parents to travel lighter by providing a full range of hard-to-pack baby equipment and supplies. In other words, they provide everything that parents could possibly need when travelling so that they don’t have to bring it all with them. The idea was hatched after Lesley and her son visited Shana in Vancouver a couple of years ago. Shana’s son had outgrown his cot, stroller and other kid-size equipment, so Lesley had only to pack some clothes. But when Lesley and son visited a friend in New York, things weren’t so easy. Her hosts had assured her they had everything, but Lesley discovered that meant poorly maintained equipment that had obviously been in storage for some time. She ended up buying a new stroller. Many people have very old equipment which is inadequate and likely doesn’t meet current safety standards, so in addition to travellers, Wee also caters to local grandparents who have small children visiting. Hotels frequently use this type of service, as do big budget film and production companies, airlines, car rental companies – pretty much anyone who has a baby or toddler coming. The rentals offer temporary solutions for newborns to children up to eight years of age. These include car seats, cribs, Pack ‘n Plays (fold-up playpens that infants can also sleep in), exersaucers, swings, bags of toys, high chairs, change tables, rockers, beach packages, strollers and joggers (double and single), backpacks for hiking and snugglies for newborns out for a stroll with their parents – virtually anything you require for your child when you’re away from home. There are similar services in Vancouver and Toronto but Wee stands out in several ways. Whether you’re staying at a hotel or in someone’s home, they will deliver any rentals to your door before you arrive, and pick them up after you leave. They are also very careful about the equipment they offer. Neither trend nor hype top the list of criteria in the selection process as the latest fad may not always be practical for someone who’s travelling. If you’re in Vancouver and you like to go for walks, to shop, or to go for coffee with your stroller, storage and portability are obvious necessities. Wee also sanitizes everything with baby and environmentally friendly products and if you need their services on a more regular basis, they offer practical gifts with a certain amount of rental. For instance, as you saw in the video, they have a compact folding potty seat which comes in a washable bag; very useful when travelling with your child. Shana has a background in psychology so she did a lot of research on parenting books and offered one as a gift as well. You’re taking your little one on her first trip to grandma’s house. It’s just the girls traveling this time – aka you and the baby. That means there are 2 hands and 10 fingers to carry a baby, a car seat, a stroller, 2 suitcases, a pack n’ play, carry-on luggage, and a booster seat. And what are you going to do without that swing and bouncy chair for a week? The thought of traveling is stressful enough. The thought of spending a week without the two hours of daily bliss you get when baby falls asleep in the swing is all the birth control you need for the next little while. Before you book an appointment with your therapist/energy healer/yogi to help you on this particular journey, you may want to think about renting gear from a baby equipment rental agency in your area. Renting provides some definite advantages. First and foremost, it means you can still travel with just a suitcase, a carry-on, and a stroller. Secondly, it beats borrowing from friends, as you can never be sure if old or borrowed equipment has been recalled or meets today’s safety standards. Finally, rental prices are very reasonable (even cheap) and the companies deliver right to your door. Sisters Shana and Lesley Cherry, founders of Wee Travel Baby Equipment Rentals, the first full service rental agency in Canada, have made it their mission to make it easy for parents to travel lighter and safer. In business since 2004, their company provides a full range of the latest and greatest in baby gear so that parents can pack light and have everything their baby needs for an enjoyable trip. “Parents are often worried that rental gear will be dirty, stained and old”, says Shana. “But our equipment is in immaculate condition. Everything is safety inspected and sanitized prior to delivery, and we are absolutely meticulous about our cleaning. We upgrade our stock on a regular basis to ensure our customers get the latest gear in new condition – and we only carry the highest rated brands. We hear time and time again from our customers that our stuff looks brand new”. Car seats are one of their biggest rental items. However, for parents that want to bring a car seat on the airplane, the sisters have found a way to make this easier too. For just $5/day or $25/week, they’ll rent you a gogo KidzTM Travelmate. The Travelmate is a car seat attachment that allows the seat (and child) to be wheeled through the airport just as you’d wheel a suitcase. It can easily maneuver down the aisle of an airplane and can remain attached to the car seat without interfering with the seat or the safety belt. “Infants and toddlers deserve the same protection that is provided to other airline passengers,” says Lesley. “We must fasten our seatbelts during takeoff, landing and turbulence. However, airlines do not offer a way for infants and toddlers to be restrained. Many parents want to bring a car seat on the plane, but the sheer challenge of getting a car seat, a child and luggage through the airport deters many parents from doing so”. Wee Travel currently has offices in Toronto, Vancouver, and Victoria and is expanding to other Canadian cities. Baby equipment rental companies exist in many American cities, and some Canadian ones, too. While the items and brands available for rent vary from company to company, most carry the essentials such as car seats, strollers, cribs, highchairs, booster seats, swings, and bouncers. Not all rental agencies have the same high standards. To be sure the company you are considering has the standards and equipment that’s right for you, here are some questions you might want to ask. – Do the products meet Canadian safety standards? Although products sold in the US and Canada are similar, only products that meet Canadian standards are legal in Canada. – Does the company monitor for safety recalls and safety inspect their equipment between uses? – How is the equipment cleaned? All equipment should be sanitized between uses using anti-bacterial non-toxic fragrance free products. – How old are the items that you are interested in renting? Look for a company that updates its products frequently so you can be sure the items you rent will be similar if not better that the items your kids have at home. – How long has the company been in business? A company that’s been around for a few years should have most of the kinks ironed out and you can feel comfortable that their equipment will be carefully selected and quality tested to meet the unique needs of travelers. – If you’re renting a car seat, look for a company that offers a variety of brands. Car seats, children and cars all come in different sizes, and one brand doesn’t fit all. If you have a small car, make sure it can easily accommodate the seat you are renting. This is especially important if the car seat needs to be installed rear-facing. If you have a small child, look for seats with removable padding or a body pillow. – Some car seats are difficult to clean and install. Ask the company what they look for in selecting a car seat. The most popular or expensive car seats are not necessarily the best ones to use for rental purposes. Ease of securing a child, ease of cleaning and ease of installation should all be factors that a company considers when making its selection. A company that’s been operating for a few years will have tried out a number of seats and will have found seats that satisfy their needs as well as those of their customers. – When it comes to renting a stroller, keep in mind that the stroller your child has at home may not be the one that’s best to rent for their visit. If you’re going to be out and about all day, shopping, or even in and out of the car, look for a stroller that is small, light, has parent and child trays and a large storage basket. 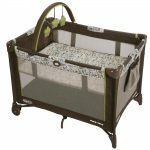 – If you need to rent a crib, look for a company that rents folding cribs. Folding cribs come assembled and don’t need to be put together. Regular cribs aren’t meant to be taken apart and put back together over and over and over again. What do you do? We rent baby equipment to make it easy for parents to travel lighter. We provide the latest hard-to-pack, can’t-live-without baby gear. We offer a full range of top-quality baby equipment, which is carefully selected to meet our high standards and the unique needs of travellers. Our equipment is safety inspected and sanitized prior to delivery and is replaced regularly to ensure that customers receive the latest gear in new condition. We deliver anywhere in Toronto, Vancouver and Victoria and the surrounding areas. How did you get into this business? How did you get into this business? Three years ago, my sister Lesley came to Vancouver with her three-month-old son. Because my son is 18 months older, all she had to bring was the baby and a few clothes — the crib, car seat, stroller, high chair, diapers, wipes, formula and toys were all waiting for her when she arrived. Since she was travelling by herself, the trip on the plane was hard enough, but she could imagine how much more difficult it would have been if she’d had to lug all the essentials with her. That got us thinking: Why not make it easy for parents to travel lighter? What’s new in baby equipment?There’s a new item called a gogo Kidz Travelmate (it rents for $25 a week) that attaches to most car seats and allows you to wheel the car seat, with the child in it, just like you would wheel luggage. You can wheel it through the airport and down airline aisles, and it can remain attached to the car seat for use during the flight without interfering with the seat or safety belt. What’s your biggest challenge? Balancing work and family life. We go out of our way to ensure we meet our customers’ needs, and our families’ needs are just as important. Sometimes it’s hard to find that balance when the office phone is ringing, the computer is beeping, it’s time to make dinner and our kids need attention. Car seats are meant to be strapped into a vehicle, not carried around like a piece of luggage. It’s just that when air travel and kids are combined, the lugging of car seats through airports is a necessity. We always booked seats for our children, no matter how young, and strapped them into their car seats on the plane. My husband’s back paid the price, but safety comes first. Too bad we didn’t have the gogo Kidz Travelmate bach then. The car seat straps onto the Travelmate, which is essentially a wheeled cart. The child can even ride in the seat as it rests on the folding cart shelf. Wheel the seat around just like a wheeled suitcase and strap the seat onto the plane without having to remove the cart. The Travelmate is available for rent from Wee Travel Inc. Baby Equipment Rentals (www.weetravel.ca) for $5 per day or $25 per week. The rental service is offered in Toronto (lesley@weetravel.ca 416-737-1622) and in Vancouver (shana@weetravel.ca 604-222-4722). No we don’t mean you can rent a baby (although that may be available, it’s really not our bag). But if you’re traveling to Vancouver, Toronto, or Victoria with a baby, Wee Travel Inc. Baby Equipment Rentals can help you avoid lugging tons of extra stuff along for the ride. Need a crib for your hotel room? They’ll provide one. Want a highchair? No problem. Renting a car? They have infant and toddler car seats. They even have toys and pack and plays to keep baby occupied. You can also get safety equipment like monitors, gates, bed rails and infant tubs – in short, all the safety you enjoy at home without bringing all of the crap from home with you. According to the company, the equipment is all in excellent condition thanks to careful monitoring and sanitizing after each use, as well as frequent replacement of items. Fees are reasonable and include discounts for renting multiple items; they also have a very flexible cancellation policy, understanding that travel with children can often be unpredictable. So if you are heading across the northern border, save yourself some extra baggage fees, eh? We loathe lugging just our stuff around airports and can only imagine the feelings of packhorse parents travelling with both squirmy little ones and all their accompanying belongings, from car seats and strollers to teddy bears. Now Wee Travel Inc. Baby Equipment Rentals has a way to lighten the load for those flying out of Vancouver, Victoria or Toronto with the gogo Kidz Travelmate. It’s a car-seat attachment that allows both the seat and the child to be wheeled through the airport and down an airplane aisle, just as you’d wheel your suitcase. It weighs just 2.27 kg and fits most convertible and toddler seats. Wee Travel has been offering baby equipment rentals to parents travelling to the three cities since 2004. The daily rental rate for the gogo Kidz Travelmate is $5 or $25 for the week. See weetravel.ca. Got plans to get out of Dodge yet? Whether it’s a “winter’s almost over but it seems like it will never end’ getaway or a “must visit Grandma for Easter’ trip’, we have a feeling that planes, trains or automobiles (or some combination thereof) are in your future. A journey of a thousand miles must begin with a single step (packing of course). So take our proverbial advice and check out some of our old faves and new recommendations to make your travels more of a break this spring. On a long journey, even a straw weighs heavy (never mind an exersaucer). So book your gear to be there when you arrive with baby equipment rentals from Wee Travel or One Tiny Suitcase who offer clean, safe, brand-name baby equipment delivered right to your destination. Wee Travel Inc is a Vancouver and Toronto based copmany that specializes in short-term rentals of baby gear for parents and tots, delivered to your hotel room or Grandam’s front door. Think you’ll survive a family trip to Toronto without a high chair? It’s all spanking clean and near-new quality, so when cousin Gertrude offers up her moldy old stroller to use in Toronto, you can gracefully decline the generous offer. Traveling with a baby just got easier. Actually, that’s not true. It’s just that we offspring-free bloggers only recently learned about a service to help those traveling with babies, and we think it’s cool, even if it’s only news to us. The service? Baby equipment rentals. Our introduction to this concept came in the form of a press release from Wee Travel. This Canadian company rents strollers, car seats, high chairs and other infant accoutrements to out-of-towners in Vancouver and Toronto so they don’t have to worry about transporting all of their parental paraphernalia as well as their still-small progeny. “What a neat new idea!” we thought. And googled “baby equipment rental.” Which promptly turned up almost 15,000 sites. So, we’re a little behind the times – turns out even Wee Travel is entering its terrible twos. But we figured if we travel magazine employees, hadn’t heard the news, others probably hadn’t either. So here’s the scoop. Companies across the U.S. and around the world allow you to rent everything from a high-tech baby pack to a “Prince Lionheart beach cabana” to keep your little ones happy while you’re away without causing you to suffer on the way there. What we want to know is, do you have to be a parent? IT’s got its eyes on a little red wagon for our next visit to Orlando. Travelling to Toronto with a little one? Already anticipating the aching muscles you’ll have from lugging along a collection of can’t-live-without-it baby supplies? Lighten your baggage load by renting the essentials from Wee Travel. You can rent all the comforts of home ranging from car seats, strollers, highchairs to pack ‘n’ plays and cribs. The words “traveling with kids” can raise the blood pressure a notch or two with most parents, particularly if you’re doing it by plane. There is so much stuff to bring: clothes, diapers, toiletries, portable high chair, favorite blanket, favorite teddy, food and breastmilk/formula, portable DVD player (plus all the DVDs)…not to mention the gear. Carseat, stroller, crib/playpen/basinette, the list is endless. Now imagine only packing their clothes and some essentials. Stroller? Nope. Carseats? Nope. Crib or bassinet? High chair? Leave it all at home. Wee Travel, a local company founded by two sisters, Lesley Cherry (based in Toronto) and Shanna Cherry (based in Vancouver), have devised an ingenious business model of renting out baby gear (this also includes bouncy chairs and Exersaucers) to Vancouver and Toronto tourists. They select high quality, durable gear that’s similar or sometimes identical to the stuff you have at home. Plus, they deliver and pick up to any location in both cities and their surrounding areas. Their prices are very reasonable, and you’ll get discounts on extended rentals and multiple item rentals. Gear – Schlepping all the trappings that come with baby and toddlers can take the fun and spontaneity out of travelling. But if you’re visiting Vancouver any time soon with kids in tow, it might be a little easier. Baby equipment rental company Wee Travel offers everything from car seats and strollers to high chairs and cribs. The service caters to parents on the go who have had enough of exhausting their baggage allowance, but know if they try to enjoy their vacation without all the gear they’ll just exhaust themselves. All equipment is sanitized between uses and can be delivered to anywhere in the Greater Vancouver area. See www.weetravel.ca. If you’re expecting guests with infants or toddlers to visit anytime soon, tell them to leave the baby gear behind. Same goes if you’re heading to Toronto with a small one in tow. Wee Travel makes it easy to travel light by providing top quality equipment (car seats, cribs, strollers, etc) to families headed to either destination. Parents who are visiting Toronto (or Vancouver) finally have a way to travel without schlepping the entire nursery in their suitcases. Wee Travel rents all the baby equipment under the sun – from car seats and high chairs to accessories such as breast pumps. Nervous Nellies rest assured: everything is safety inspected and sanitized after each use. Founded by two sisters (one in each city), the company delivers right to your doorstep. Examples include a Bumbo seat ($5 a day) and a white-noise machine ($4). And they pick up when you’re done, too. Pharmacy items such as formula, baby food and diapers are also available. Flying out of Vancouver with children and wishing you had a pack ‘n play to bring? Visiting Toronto and debating which baby items to bring and which to leave given baggage restrictions? Have an adult-friendly home but expecting visitors with young children? Wee Travel Inc. rents a range of baby products for long or short-term periods and is operated in Vancouver by Shana Cherry and in Toronto by Lesley Cherry. The sisters were raised in Vancouver and founded the business in the summer of 2005 when, visiting back and forth themselves and with children close in age, they realized how nice it was not to worry about bringing a high chair, playpen, stroller or other useful items. “One day (when visiting Vancouver) I said to Shana, ‘I’m so lucky that I don’t need to bring any of this equipment with me. I wonder what others do?’ That led to the idea of a baby equipment rental company. We did a little searching on the Internet and found out that it doesn’t really exist in Canada,” explains Lesley. Armed with master’s degrees, both sisters have plenty of experience working with people. Shana spent 16 years counselling street-involved youth and Lesley spent five years as an urban planner and another six working in marketing for a large telecommunications company before embarking on this venture. Three weeks after launching their website they had their first customer and business has been growing steadily ever since. “Grandparents seem to be big renters. It’s so convenient. We drop everything off at their home and pick it up after the chaos has left. Often grandparents will say, ‘We have an old crib or an old swing and some toys from 15 years ago. We kept them but they’re too old to use and there’s some great items out there that we’ve never seen before,’ ” says Shana, the Vancouver sister. Parents travelling to or from Vancouver or Toronto can rent items they require, including strollers, jogging strollers, car seats, playpens and more. People expecting guests in either city can rent things that will make the stay more comfortable for their little visitors. Wee Travel Inc. offers an international beach package, which is any number of summer items, such as a beach shade, inflatable water toy, pail and shovel etc. Items will be delivered to a hotel, a private residence or the airport. “Ideally, people want to bring their child’s favourite toys, a stroller, a car seat is mandatory, you need a place for your child to sleep, a highchair, and of course there’s the diapers, wipes, baby food. It’s simply not feasible to bring all of this with you, and it’s simply not possible to do without. We make sure people don’t have to do without,” says Lesley, who is the mother of a toddler. For more information visit the website www.weetravel.ca. It’s been a while since Britney Spears has been photographed putting baby Sean Preston in mortal danger. No more letting her one-year-old steer on the way home from a McDonald’s drive-through. No more tripping on a New York City sidewalk and almost tossing the lad into Broadway traffic. Perhaps Mrs. Federline is getting the knack of parenting, the cardinal rule of which seems to be firmly strapping children down until they turn eight. Or maybe she has just discovered a service like Canada’s Wee Travel(weetravel.ca), which provides strollers, car seats, playpens and other skull-protecting equipment to parents visiting Toronto and Vancouver. “Because you can’t bring everything, and you can’t do without,” says the tag line of the company launched this year by Toronto’s Lesley Cherry and her older sister, Vancouver-based Shana. Wee Travel is a rental service, offering all those hard-to-pack necessities of modern parenting, from the sound-therapy system to the activity gym. The idea was hatched after Lesley and her son, Eli, who turns two next week, visited Shana in Vancouver last year. Shana’s son, Ethan, had outgrown his cot, stroller and other kid-size equipment, so Lesley had only to pack some clothes. But when Lesley and Eli visited a friend in New York, things weren’t so easy. Her hosts had assured her they had everything. Lesley discovered there was only poorly maintained equipment that had obviously been in storage for some time. Through the Wee Travel Web site, parents can reserve strollers ($48-$84 a week), car seats ($30-$42 a week) and even potties ($24 a week) for their child to use during a vacation or working visit to Canada. The sisters courier what’s needed directly to a hotel, home or cottage, and will even arrange to meet parents at the airport with everything they’ve ordered. “I see people lugging stuff through the airport and I just want to help them,” Lesley says. Some hotels in Toronto and Vancouver provide guests with furniture to accommodate a small child, but Lesley says it is often a wooden high chair and an old crib, well below the high-tech standard most parents require these days. And with baggage restrictions on flights — plus the sheer annoyance of trying to disassemble a Bugaboo stroller for travel– most parents don’t take their goo-goo gear on every trip. Businesses like Wee Travel are popular in the U.S., and most of its customers are American tourists visiting Toronto, or Hollywood film crews stationed in Vancouver. One high-profile actress has employed the service, although the sisters prefer not to name names, as have “tons” of members of big-budget film crews visiting the city. Wee Travel also caters to older Canadians whose grandchildren visit. They do not want to buy all the equipment necessary for the visit, but do not want their darlings to go without. The Cherry sisters’ mother — Eli and Ethan’s grandmother — and her grandmother friends solve the problem by lending each another tricycles and baby tubs and trying to co-ordinate visits so they don’t overlap. Wee Travel has had 100 clients, including one woman this week who arrived in Toronto with twins and required two of everything. The Cherry sisters have noticed a distinct east-coast, west-coast divide when it comes to what parents want, perhaps illustrating regional parenting priorities. In Vancouver, most customers want jogging strollers; in Toronto, they request car seats. Despite the outcry after the publication of photos of Spears driving with her son, Sean Preston, on her lap, most U.S. states have more relaxed rules regarding car seats than Canada. Last night, one minor-league New Jersey baseball team held Britney Spears Baby Safety Night to raise awareness of car seats. But Lesley says many Americans do not realize they need them until they arrive in Canada. Wee Travel may make things safer and more comfortable for the kiddies themselves, but Lesley and her sister say their real priority is making things easier for parents. “We want to take the stress out of travelling,” she says. If only she could rent something that would keep the kids quiet on the plane. When I have been travelling, I am always amazed at how parents manage to travel with their kids and everything that goes along with them, like strollers, diaper bags, toys and much more… Now there is a company called Wee Travel that are a rental company that provide everything that you could possibly need when travelling, so that you don’t have to take it all with you. They are only in Vancouver, Toronto and Victoria (Canada) at the moment and they offer items such as car seats, strollers, high chairs and more! The items are available for rent by the day, week and some monthly plus they are all brand name products. This company has done something that I haven’t seen for a while… they have taken care of a niche market that helps tourists. They aren’t another sightseeing company or hotel, but a service that every family could use if they have little ones. When there’s a baby in your life you tend to count on a lot of baby related equipment. You realize just how much stuff you need when it’s time to travel with your baby. To accommodate the needs of traveling families, WEE Travel Inc. rents baby equipment to people visiting Toronto and Vancouver. Car seats, pack and plays, strollers, high chairs and exersaucers are popular items with customers. WEE Travel delivers and can also supply diapers, wipes and formula – the items that take up so much room in a suitcase. 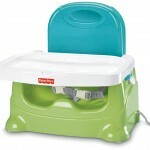 The cost to rent a high chair for example is $8 a day or $48 per week. A minimum charge of $30 applies. The company was started by two sisters, Lesley Cherry living in Toronto, Shana Cherry in Vancouver. Their frustration with carting baby stuff across the country spawned WEE Travel.